Team Northumbria slayed Celtic Dragons with a convincing 58-47 victory at Northumbria University on Saturday night to make it two wins in two over Wales’ premier franchise. Ash Neal won the battle of the Superleague siblings against sister Kyra Jones – owning the centre court in a vital game at the bottom of the Vitality Netball Superleague. Dragons are the lowest scoring team in the league but the visitors got off to a good start – scoring straight from the centre pass to state an early intent. A close contest ensued with both teams ruthless underneath the net and relentless in attack. This led to a one-point lead in the first quarter in the favour of the Tynesiders, who looked full of confidence with the prospect of opening up a three-point gap at the bottom with a win. Dragons initiated the scoring again in the second quarter but a fast-paced display of netball seemed to work in TN’s favour as Hayley Mulheron and Lauren Ngwira mopped up with the interceptions. 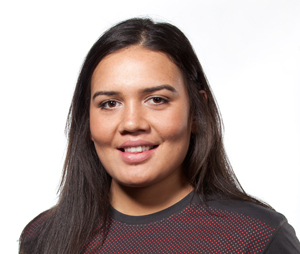 The North East team went on to dominate the next few minutes, letting loose with a fantastic offensive display – TN’s New Zealand duo Chiara Semple and Tamsin Moala linking up brilliantly to create a nine-point lead in a matter of minutes. TeAroha Keenan’s side went into the break 30-23 ahead – setting the team up to push on in the second half. The pace seemed to slow down in the penultimate quarter and Julie Hornweg’s half time talk clearly had an affect on the Dragons’ style of play as they descended upon the TN goal. Consistency was the gateway to a comeback and Dragons certainly looked as if they had found the key with sharp shooting from former TN favourite Georgia Rowe. But they met their match against a resilient TN side who equalled the Cardiff club in all areas and saw the quarter out 43-33. An inspired TN team went full throttle in the final quarter, scoring 15 points on their way to their third win of 2018 in front of the Sport Central faithful. With just three games remaining of the regular season, TN now have a chance to improve on last year’s ninth place with the Dragons win putting them level on points with UWS Sirens and hot on the heels of Surrey Storm. Team Northumbria beat Celtic Dragons by their largest winning margin of the season on Saturday. Northumbria Goal Keeper Tuaine Keenan has impressed this season and has said she already can’t wait for the 2017 season. Player of the season Tuaine Keenan is committed to the job she started after revealing next season can’t come soon enough. The no-nonsense defender has forged a formidable partnership with England call-up Leah Kennedy for Team Northumbria this season. And the pair put in a typically robust shift to see off Celtic Dragons in the club’s final Netball Superleague clash of the season. The hosts bagged their biggest win of the year with a 60-47 demolition of the Dragons and Keenan said: “We’ve really come together in the last few weeks. “Four wins this season isn’t the best record and we’re frustrated we didn’t reach our target of six. “But the results don’t tell the real story. “We’ve all learnt a huge amount about ourselves and each other and we’ve grown together. “That’s why I want to come back next season and maintain that progression. “We needed time to gel as a group because there’s so much diversity within our squad. It remains to be seen whether head coach TeAroha Keenan will keep the core of her NSL roster together ahead of the 2017 campaign. But the current squad’s potential was there for all to see against a Dragons side that won the corresponding fixture by eight goals in Cardiff. “That was a poor performance and we have struggled with the travel and the schedule at times,” added Tuaine Keenan. “I think that has something to do with the fact that we’re a young and inexperienced squad. “At the start of the season it was unlike anything a lot of the players were used to but we’ve learnt what we need to do. “It was important we signed off the season in style and on a personal note I still can’t believe that the fans decided I was their player of the season. TN had opened up a three-goal lead against the Dragons at half-time but stepped up a gear after the break. Coach Keenan stuck with the same seven players for the final three quarters and that consistency paid off. Kennedy reclaimed the captain’s armband and responded to the extra responsibility in style – celebrating last week’s England call-up with her best display of the season. And once again rookie shooter Chiara Semple showed just why she has been identified as one of the rising stars of Superleague. Dragons had no answer to TN’s quality across the court with Rebecca Neil a deserved winner of the player of the match award.